It's hard to imagine that these are photographs. 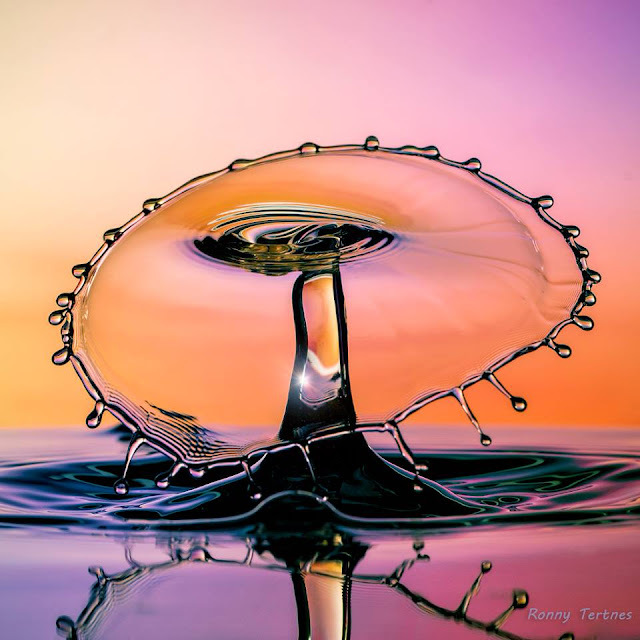 Ronny Tertnes, a photographer from Norway, calls them Water Sculptures or Liquid Sculptures or just Drop Photography. 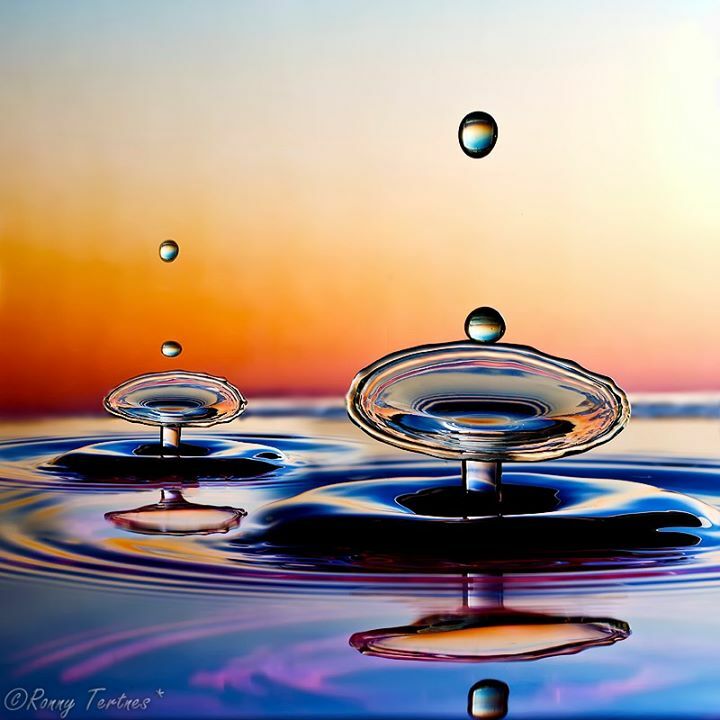 I first came across Ronny's work several years ago on Facebook and thankfully saved the links.. because now I can share his work with all of you. Each one of Ronny's water sculptures is different; each one is amazing and unusual. 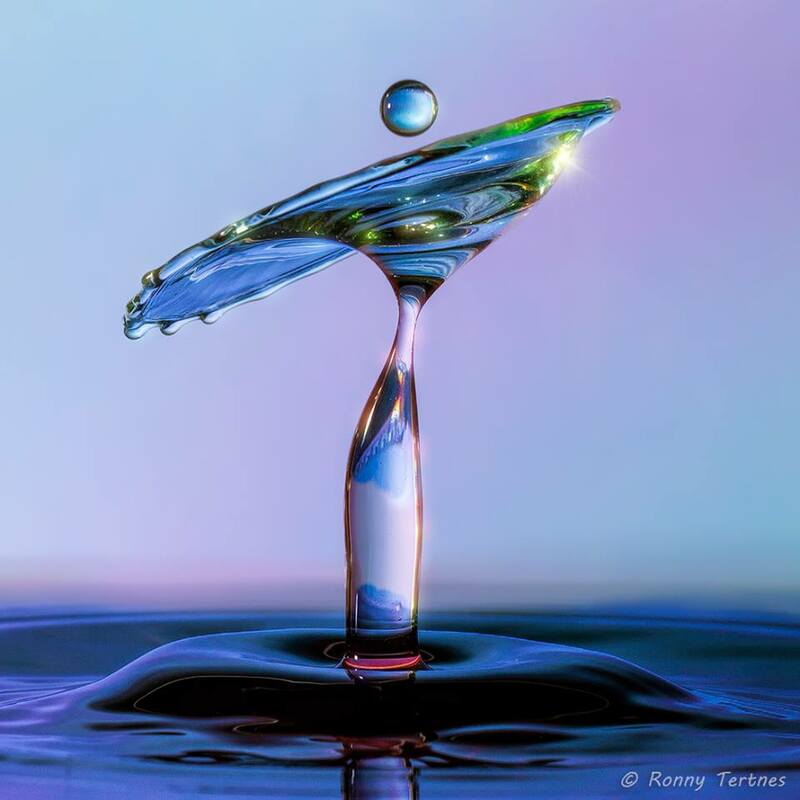 For those photography buffs who would like to try some water art of their own, Tertnes talks technical settings HERE and provides a few more gorgeous examples of water art. He uses a kit and he talks about that as well. He writes, "Sometimes I take a broken drop photo and mirror half the image to create a symmetric and artistic liquid sculpture." A new frontier: Water art photography. Please visit Ronny's links above.